There were delays on the A1 at Sawtry this morning due to debris on the road following a collision. A police spokesman said "multiple vehicles" were involved in the crash northbound. Police were called at 7.17am. 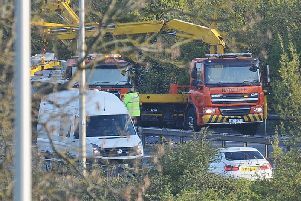 The spokesman added that the vehicles were cleared to the side with the disruption mainly caused by debris in the road.